Home How To How To Get Google Search Bar Back On Android Screen? Google Search Bar Back On Android Screen – In default almost Samsung or LG or Pixel Android phones are launched with the Google search bar. 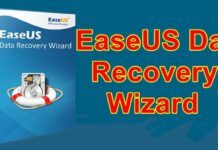 The inclusion of this Google search is to easily navigate into any sites but some of the Android users remove that search bar from their phone home screen unknowingly. But unfortunately, once the Google search bar removed from the home screen then it will not appear until you make some change. Well, every Android users require for the Google search rather than Google search bar Firefox and so some auspicious techniques are mentioned to get the removed Google search bar. In the absence of the Google Apps then it’s time to move towards the Google Chrome to restore Google search bar. The usage of the Google Chrome’s search bar is that you can make your search alongside Google narrowly. For that, the Android users have to provide with Google Chrome if not then install it. The app of Google Now Launcher is specifically implemented to customize numerous features and options as you require. In this app, you can include various updates and features along with Google search bar. When, you need to go for its option then swipe to the left side on the home screen of your Android device. At present Google Apps are readily available on the Android device. The functionality of this app is that in case if you remove Google search bar then you don’t need of any other steps directly you can install it via Google PlayStore. Additionally, apart from the default size of Google search, you can customize the bar as you need. After that go to the option called Widgets which will appear on the end of the edit mode screen where various widgets obtainable on your Android device will be displayed. In the Widget option look for the Google search bar widget from the provided features. Once you find just tap on it automatically the Google search widget will reappear on your Android home screen via edit mode. Now in the edit mode, you have to click and drag the Google search widget and have to place in your home screen where you desire to. 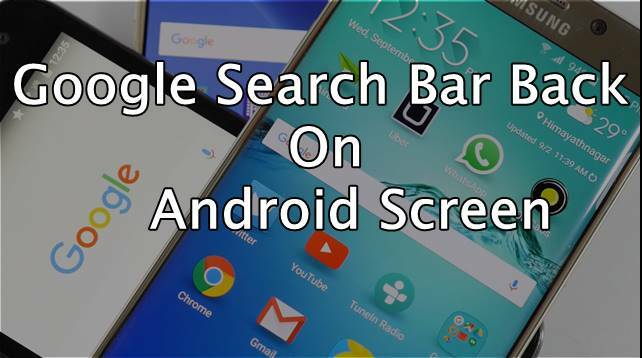 Finally, you will get back the Google search bar on your Android home screen this bar won’t remove from the screen until you do. The Google Search Bar is the only option which will make the users to quickly search directly from their home screen besides this search bar is essential to get several features. 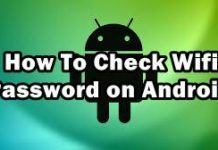 So, Friends, this is you get ‘How To Get Google Search Bar Back On Android.’ I hope you like this and if you do then subscribe to our website and follow us on social media Like Facebook, Instagram, Twitter, Whatsapp as well as the latest technology Gadgets updates. Hopefully, you now understand “Google Search Bar“ If you have any problem or any idea.. if you like our article then share with your friends, Thanks For Visit. Then leave a comment below.